These two magical things have had the hugest impact on my life and this is why I am so passionate about sharing these teachings with others. I believe it is impossible for your life not to change for the better if you commit to a regular practice of yoga, meditation or both. Yoga allowed me to get through depression after the death of my youngest brother in 2001 without turning to antidepressants which is all that my doctor would offer me, even when I begged him for alternatives. I had to rely on my own intuition and it led me back to yoga, something my Mum had introduced me to a few years previously. Fast forward to 2016 and yoga again changed my life whilst again dealing with a period of chronic stress. After deciding to complete my 200hr teacher training for personal growth I would never dream of the incredible effects it would have and just how much it would change me. I knew I could help others through teaching and so I stepped out of my comfort zone and onto my mat to teach. I have been an avid meditator on and off for many years but committed to a daily practice a few years ago again after going through chronic stress and dealing with health issues that no doctor or professional had answers for. It gave me solace and started to return me to an inner peace. The positive changes I have seen in my life since committing to this regular practice have been phenomenal. Meditation allows me to tune into my soul, when our own inner voice is so loud and busy we cannot hear the messages of our soul, who is always available and guiding you through life. Meditation can give you those juicy insights that can help propel you forward in the right direction on your life path. Yoga and Meditation have allowed me to push through many negative core beliefs such as self doubt and has also allowed me to get over my fear of public speaking. 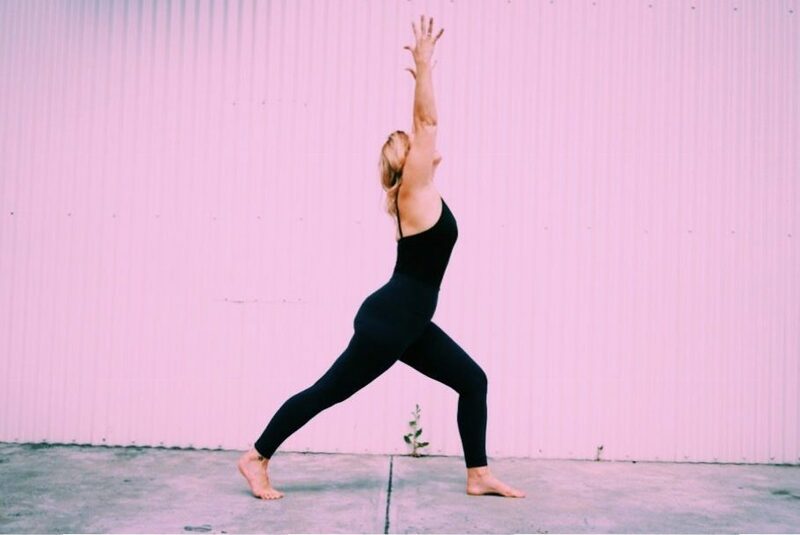 These practices give me physical and emotional strength, connects me to my soul, makes me feel so happy (dat yoga high), confident and allows me to love and accept myself exactly as I am…..how could I possibly not share these life changing tool with others. I believe your yoga practice should be fun and interesting and that is why I love teaching my flows to amazing music to keep you motivated and sweating! I love guiding different meditations to take you to a deep place of relaxation and peace, you can find my current classes below. See event pages for special events including Full Moon and New Moon meditation circles. 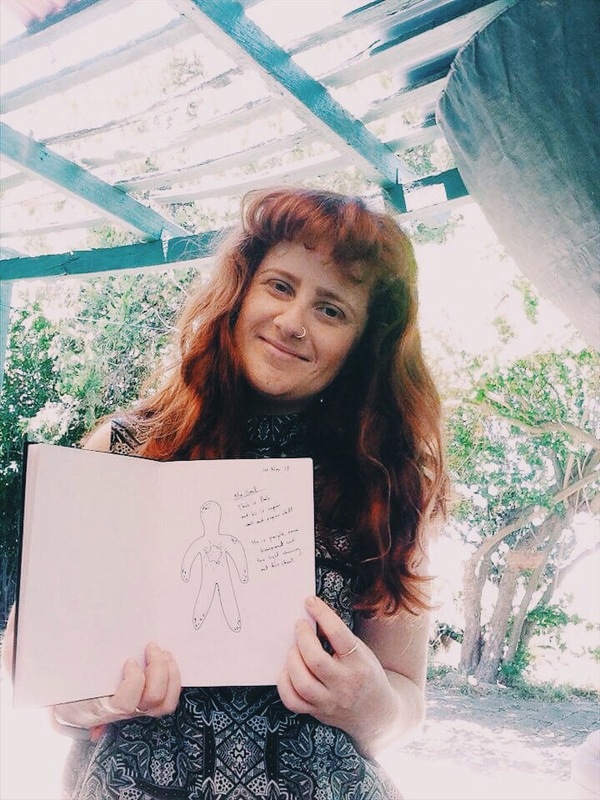 Harriet with a drawing of her Soul Bob after a Soul Connection meditation session.